These are the set of tools we use on a daily basis for perform our website speed tests, when we are asked to speedup websites. This blog post will simply discuss the tools and some of the core features, it is not meant to teach you how to optimize websites. Our blog posts are focussed on helping business owners and not techies. At Netology, we optimize websites as part of our standard service. Some of the websites we have optimized range from the very large websites that serve 250,000 visits per month to the very small websites owned by small businesses. Website speed does not directly affect SEO, but it does affect user experience, which in turn will affect your conversion rate and impact your sales funnel. Clean Up Your Homepage. From our experience, the main culprits for a slow home page are images (not optimised) and the excessive use of sliders. We also find business over-stacking their homepages with too many features, screens and social media gadgets. My general advice is limit the homepage to 2 to 3 screens in length, keep it brief and to the point. Remember, the homepage needs to be presentable to mobiles as well – 4 scrolls on desktop normally equals 8-12 scrolls on the mobile which is way too many. Have the right person do the website optimization. It can be very confusing in the web world to know who does what. The right person to optimize your website is an engineer or a webmaster, they have all the necessary skills – They test and have the ability to solve a range of website speed issues. You might come across other web professionals such as the web designer and web developer. A web designer is normally not suited to perform website optimisation, strictly speaking it is not their job to make your website fast, their job is to make your website look good. Sometimes you will have to compromise on looks to gain speed, which can be hard on the designer. Think of it this way – Would you ask a car designer to tune your car? Obviously No, Would you ask an engineer / mechanic to tune your car? or course the answer is yes!. A web developer has some of the necessary skills, but they are not normally interested in website optimisation and making adjustments to systems, web hosting services etc. The work is very systematic and interesting to a particular personality type but not the web developer. Make Speed a Priority. 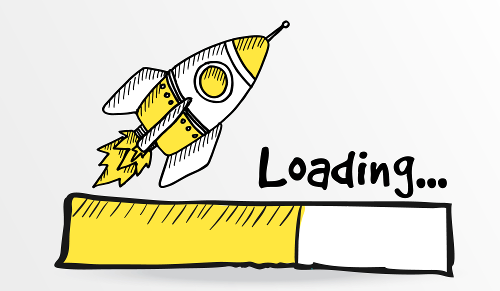 At this point of time, website speed does directly impact on SEO. There are 200 factors affecting Website Ranking and Google has stated that speed is not one them. However, the larger web community does believe it is just a matter of time that speed will become a ranking factor. Google has provided a number of webmaster tools to assist with speeding up websites and has page speed ranking systems for desktops and mobiles, so it is just a matter of time. For example, recently they introduced mobile-friendliness as a ranking factor and they gave the community plenty of hints and lead time to do something about it, we believe they will do the same with speed. So here is a list of my favourite tools when determining website speed. Most of the tools will measure the non-cache speed which is our preferred benchmark. Caching can be device dependent and can be highly variable so it is not a very good benchmark. So these are our Top 3 Website Speed Test services and we have tried plenty of other services but we always come back to these services. 1. History – With the paid version, you can monitor your website speed and keep a history of the results. We use this tool a lot when speeding up a client websites, the history and scheduled testing keeps track of progress. 2. Choose your Location – You can test your website speed from multiple locations around the world using different browser types. This is a useful feature since a majority of my clients websites are Australian website designed for Australian visitors. 3. Test for Mobiles – This tool will simulate website speed when using a mobile browser. 50% of all traffic is generated from a mobile device, so designing for mobile speed is paramount. Beware – the GTMetrix service is quite in demand and the hardware varies from Country to Country so sometimes you can get variable results. Make sure you use the Vancouver data center as your baseline location and use these results as a benchmark when testing other locations. We have been caught with totally different results (2x 3x difference) for the same test on the same websites but from different test locations. 1. Super easy interface – The graphs are super easy to understand. There are slightly less features compared to GTMetrix but it offers a very easy to user interface. You can also run the speed test tool against your website from multiple locations around the world. 2. Reliable – The performance of the service is very reliable and probably the most consistent out of all the services reviewed. This service was setup in collaboration with Google and other technology giants. 1. Comprehensiveness – I normally use this tools if I want a comprehensive report on each element of a webpage. From a developers point of view it gives the most comprehensive analysis. 2. Non-Cache and Cached measurements – Once your browser has visited a website, things like fonts, some images, scripts are stored locally on your device. So it is still worth measuring cached speed, particularly for popular websites. By default, the webpagetest service will perform a non-cached and a “repeat” (cached) test which can be really useful to see if your website environment has been correctly configured for caching. Beware: the services does not offer monitoring like the other two services. We also find that this service is slower, and the results will indicate slower web page load times than the other two services, GT Metrix and Pingdom. Finally – we have previously listed this as a resource here, the Google PageSpeed tool is by far the fastest tool and easiest to use and still has its place amongst our website speed test toolbox. It does not show the waterfall graphs but if you need something quick it is definitely worth using. We hope you enjoyed this article – please visit our homepage to find out more about our services.